Hélène Landemore is Associate Professor of Political Science. Her research and teaching interests include democratic theory, political epistemology, theories of justice, the philosophy of social sciences (particularly economics), constitutional processes and theories, and workplace democracy. Her first book (in French) Hume. Probabilité et Choix Raisonnable (PUF: 2004) was a philosophical investigation of David Hume’s theory of decision-making. Her second book (in English) Democratic Reason won the Montreal Manuscript Workshop Award in 2011; the Elaine and David Spitz Prize in 2015; and the 2018 APSA “Ideas, Knowledge, and Politics” section book award. Hélène’s third book–Open Democracy: Reinventing Popular Rule for the 21st Century (under contract with Princeton University Press)–develops a new paradigm of democracy in which the exercise of power is as little gated as possible, even as it depends on representative structures to make it possible. In this version of popular rule, power is equally open to all, as opposed to just those who happen to stand out in the eyes of others (as in electoral democracies). The book centrally defends the use of non-electoral yet democratic forms of representation, including “lottocratic,” “self-selected,” and “liquid” representation. Hélène is also co-editor with Jon Elster of Collective Wisdom: Principles and Mechanisms (Cambridge University Press 2012), and is currently working on a new edited volume project on Digital Technology and Democratic Theory, together with Rob Reich and Lucy Bernholz at Stanford. Her articles have been published in, among others, Journal of Political Philosophy; Political Theory; Politics, Philosophy, and Economics; Political Psychology; Social Epistemology; Synthese; the Swiss Review of Political Science: and the Journal of Politics. 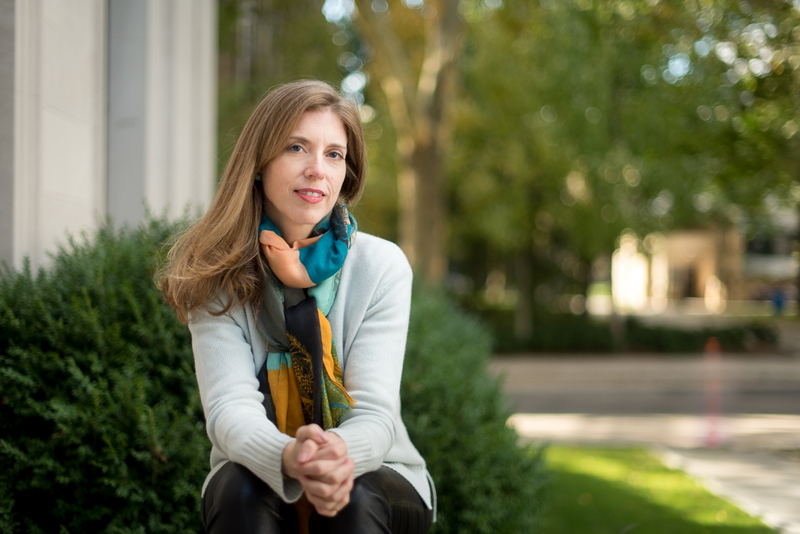 Her research has been featured in the New York Times, the Boston Review, Slate, and L’Humanité. Before joining Yale, Hélène lectured at Brown University and MIT. She is also an alumna from the Sorbonne, the Ecole Normale Supérieure (Ulm), and Sciences-Po in Paris. 2019-02-23 - Oxford University - “Remaking the UK Constitution.“ At time 1:04. 2013-11-01 - New Books in Philosophy Podcast - Interview on my book Democratic Reason.